Oxford University Press, USA, 9780199582631, 384pp. This book is the first publication of a very early collection of Christian monastic rules from Roman Egypt. Designed for the so-called White Monastery Federation, a community of monks and nuns who banded together about 360 CE, the rules are quoted by the great monastic leader Shenoute of Atripe in his writings of the fourth and fifth century. These rules provide new and intimate access to the earliest phases of Christian communal (cenobitic) monasticism. 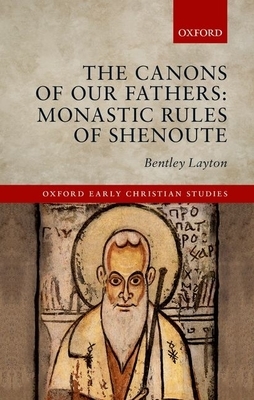 In this volume, Bentley Layton presents for the first time the Coptic text of the rules, amounting to five hundred and ninety-five entries, accompanied by a clear and exact English translation. Four preliminary chapters discuss the character of the rules in their historical and social context, and present new evidence for the founding of the monastic federation. From passing remarks in the rules, Layton paints a brilliant picture of monastic daily life and ascetic practice, organized around six general topics: the monastery as a physical plant, the human makeup of the community, the pattern of ascetic observances, the hierarchy of authority, the daily liturgy, and monastic economic life. The Canons of Our Fathers will be a fundamental resource for readers interested in Christian life in late antiquity, ascetic practices, and the history of monasticism in all its forms. Bentley Layton was educated at Harvard University and taught for five years in Jerusalem at the Ecole biblique et archeologique francaise. He worked in Cairo with UNESCO Technical Subcommittee to reconstruct the Coptic Gnostic manuscripts of Nag Hammadi and then taught at Yale University, where he was appointed to the Goff Professorship of Religious Studies. He is the recipient of fellowships from American Council of Learned Societies, National Endowment for the Humanities, and Guggenheim Foundation and past President of the International Association of Coptic Studies.